Shopping for Peter Pan Statues? A mischievous boy who can fly and magically refuses to grow up, Peter Pan makes his debut as part of Personality Poses collection. Designed by Jim Shore for Disney Traditions, Peter kneels down to ponder his next trick. 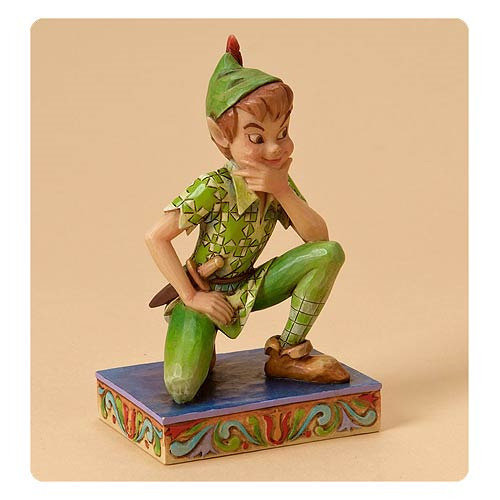 The Disney Traditions Peter Pan Childhood Champion Statue is made of stone resin and measures approximately 4-inches tall x 2 1/2-inches wide x 1 3/4-inches long. Ages 13 and up.